Would You Be Happier As A Doctor Or A Nurse Practitioner? Once, there was little doubt that becoming an MD was an amazingly attractive career choice. Physicians were paid well, highly respected and, for the most part, acted as their own bosses. College counselors report that as pre-med students finish their undergraduate degrees, a small but growing number of them are making a surprising choice. Rather than going on to medical school to become doctors, they’re heading to nursing graduate schools that will train them to become nurse practitioners. Financial and lifestyle issues in the healthcare industry are feeding the trend. Doctors still earn handsome salaries – if they’re in the right specialty. According to a 2017 Medscape survey, MD salaries run in a wide range from about $158,000 per year for pediatricians to almost $500,000 for plastic surgeons. 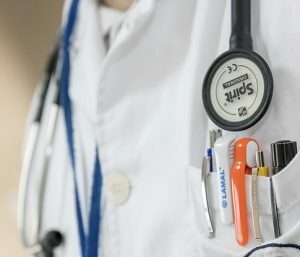 Nurse practitioners, by comparison, generally earn $73,951 to $122,007 according to payscale.com, though some top nurse anesthetists earning over $240,000 in certain states according to Beckers Hospital Review. But while doctors may earn more over their lifetimes, they’re now feeling a ton of stress from America’s relentless drive to contain health costs and make care more efficient. A 2018 survey by Medscape showed that 42% of physicians interviewed felt burned out and 15% were downright depressed. Women doctors, who have grown in numbers over the past 20 years, are even more burned out than their male counterparts. Forty-eight per cent of female doctors told Medscape they were burned out, compared with 38% of male MDs. Why isn’t being a doctor the kind of “golden parachute” it once was? MDs in the Medscape survey said they were sick and tired of spending too little time with patients and too much time on paperwork. Four out of ten said they were working too many hours and 26% said they did not feel respected by employers or coworkers. Some see the nurse practitioner career path as more attractive because it involves a far lower cost of training and more appealing work conditions than what doctors deal with. “You can become a nurse practitioner for…typically around $50,000 to $60,000,” says Ora Strickland, Dean of the College of Nursing and Health Sciences at Florida International University in an interview with U.S. News & World Report. Newly minted doctors, on the other hand, often emerge from medical school with over $160,000 in student debt. Physicians must also do residencies after they finish medical school, which pay an average of about $55,000 per year (source: Medscape). The long hours and stress of medical residency are legendary. And when physicians emerge from residency and start out in hospital or private practice, they may be 30 years old and just beginning to earn the kind of money that can help them pay down their medical school debts. They may ultimately reach a high salary level, but getting there is a long, tough road. As a result, some nurse practitioners actually earn a higher salary early in their careers than the typical physician. They can also get out into full clinical practice at an early age and avoid the stress of residency. NPs have gradually gained more power and autonomy. Although they are unlikely to ever handle the kind of top level decisions doctors make on treatment of complex cases, most NPs are now authorized to diagnose a wide range of conditions and prescribe treatments for them. If you wish to become a nurse practitioner, it pays to research what the practice parameters for NPs are in your state.